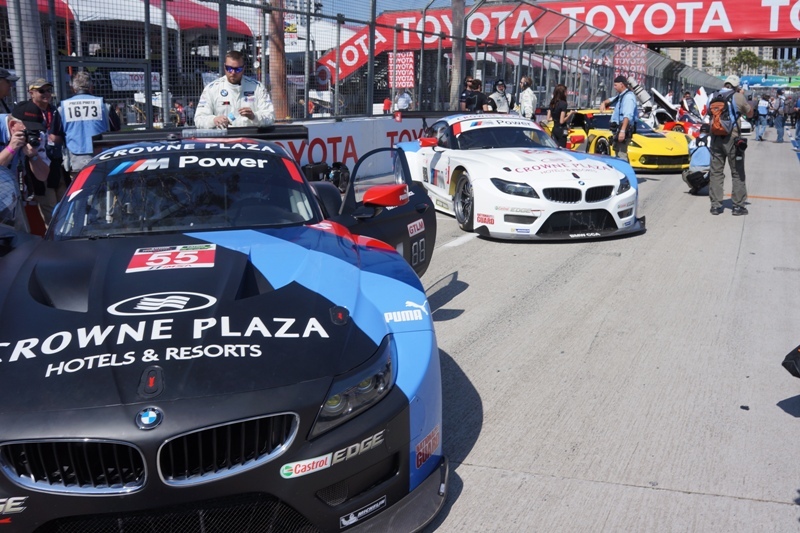 The Toyota Grand Prix Of Long Beach celebrated it's 40th year and it appeared as though that, through its trimmed down field of 21 entrants, the TUSCC did not really come to party at "The Beach" for its 100 minute (1.66 hour) sprint session - as this was the main event for Saturday. 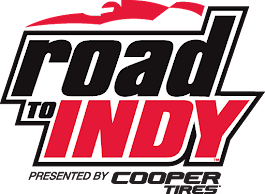 The overall main event would be the Verizon IndyCar Series race on Sunday scheduled for 120 minutes (2 hours). 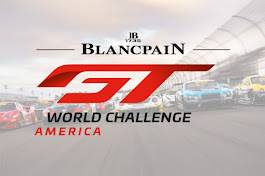 For a formally endurance racing focused series, this seemed to have left most fans asking ... Is this all there is? There is always the next race at Mazda Raceway Laguna Seca - there is sure to be some endurance racing there. - Michael Shank Racing, Riley DP Conti 2-seater, drivers John Pew/Oswaldo Negri, Jr. The Mini Grand Prix of San Jose begins with race cars on display at 11 a.m., demonstration laps around Plaza de Cesar Chavez begin at noon and a fan autograph session with the TUDOR Championship drivers and Jordan Stewart begins at 12:30 p.m. There will also be prize giveaways including race gear and event tickets. The Continental Tire Monterey Grand Prix powered by Mazda, features the Monterey debut of the TUDOR United SportsCar Championship, America's all-new premier sports car racing Series. The Series was created by the merger of the GRAND-AM Rolex Sports Car and American Le Mans organizations, both of which had a long history of competing at Mazda Raceway. The TUDOR Championship features two styles of cars, Prototype and GT (Grand Touring). Each style of car has two classes, Pro and Pro-Am, meaning there are four classes of racing on track together, each with their own battle for the lead. The problem is ... according to the schedule, there will be two separate races of two-hours apiece not any endurance racing, say all classes for four hours for example, as suggested - there are four classes of racing on track together - in the above press release. As the old saying goes ... Racin', is racin' ... so let's go to Mazda Raceway Laguna Seca and see the first (and only) West Coast stint of the full field of TUDOR United SportsCar Championship teams, drivers, and race cars at the Continental Tire Monterey Grand Prix, powered by Mazda - May 2-4, 2014. The annual springtime motor sports ritual that set the table for modern day temporary street automobile racing events held its fortieth edition last weekend and it ended predictably ... sort of. The 40th Toyota Grand Prix of Long Beach ended script-like to the casual observer, in that this street course favors drivers who figure out how to get the most out of off-camber concrete corners cradled in unforgiving walls of tire-lined concrete and rewards them with multiple wins - or at the very least, a high finishing order good for Verizon IndyCar Series championship points. The podium finishing order would buttress this contention with Ed Carpenter Racing's street and road course driving specialist Mike Conway bringing home his second win here in three years, followed closely by Penske Racing's Will Power who was already a two-time winner, in 2008 and 2011, and keeping pace at P3 was Andretti Autosport rookie driver Carlos Munoz who had won here at Long Beach last year when he was in IndyLights. With last year's winner AJ Foyt Racing's Takuma Sato lining up at P15, 2011 winner Conway sitting at P17, and 2012 winner Power holding station at P14, it looked as though the script would favor a winner from the top ten positions - assuming few local Yellow Flags, great weather, and little passing. This would leave the prediction to be a new winner presumably from Andretti Autosport's James Hinchcliffe, Sarah Fisher Hartman Racing's Josef Newgarden, BHA / BBM with Curb-Agajanian rookie driver Jack Hawksworth, Schmidt Peterson Motorsports Simon Pagenaud, Target Chip Ganassi Racing and 2013 ICS champion Scott Dixon, Andretti Autosport's Marco Andretti, and Dale Coyne Racing's Justin Wilson, or a repeat win from pole sitter Andretti Autosport 2012 ICS champion Ryan Hunter-Reay, Penske Racing 2001 TGPLB winner Helio Castroneves, and KVSH Racing 4-time champion and past 2005, 2006, and 2007 TGPLB winner Sebastien Bourdais. Paul Tracy wasn't all that exclusively PC during the broadcast ... he did muse that if a Beaux Barfield sensibility toward Race Control had been in play when he was driving, he would have been penalized way less and won a whole lot more races. Also, The Mayor of Hinchtown momentarily became the Sheriff and was laying down the law when he said he really didn't expect such a 'Rookie Move' and that he felt sorry for Newgarden, himself and all of the other drivers that had to be caught up in the mess at Turn #4. A big 'rookie move' wreck in Turn 4, a blocked track Yellow Flag on Lap 56 of 80, and passing from P17 ... past P16 Penske Racing's 1999 TGPLB winner Juan Montoya, P15 Taku, P14 Power, P13 Kanaan, P12 Servia, P11 Munoz, and etc. 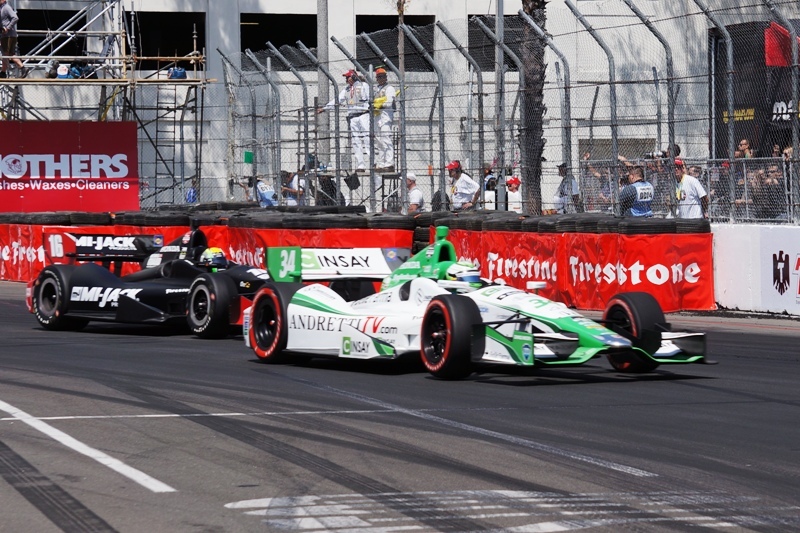 through to P1 holder TCGR's Scott Dixon (who had to stop for fuel on Lap78), Mike Conway establishes Ed Carpenter Racing as an early odds-on contender for a team championship in 2014 with a repeat win for the 40th Toyota Grand Prix of Long Beach ... predictably, just like the script. Pre-event interview with Phil Keoghan (@PhilKeoghan): Emmy award-winning New Zealand-born television personality best known for his role as host of the popular series "Amazing Race." 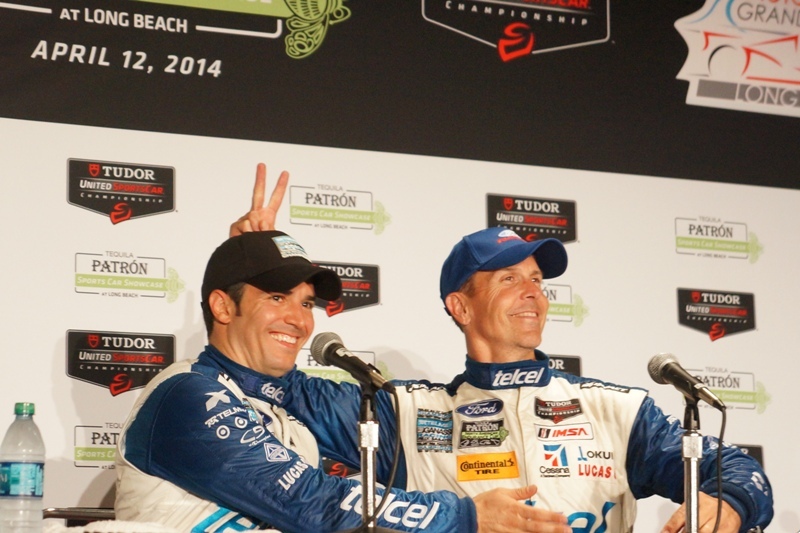 The Toyota Pro/Celebrity Race's primary effort is to raise money for charity. Phil Keoghan has a long-time commitment to MS - Multiple Sclerosis - multiple sclerosis is an unpredictable, often disabling disease of the central nervous system that disrupts the flow of information within the brain, and between the brain and body. About eight (8) years ago, Phil set a goal to use his celebrity and recognition to raise one-million dollars ($1,000,000) in his lifetime and was already able to hit this goal with a ride across America film effort. Later this year, he has planned a follow up film production of a ride across France where he plans to donate the proceeds of this production to MS as well. Additionally, Phil appreciates the umbrella charity that the Toyota Pro/Celebrity Race raises money for - "Race For Kids." He believes that if someone fortunate to have celebrity, one should dedicate a portion of their time, awareness, and energy to give back to the community. Since 1991, Toyota has donated more than $2 million to the "Racing for Kids" organization on behalf of this race and its participants. Phil would not predict his chances at being able to win and donate the $5,000.00 first prize money to Multiple Sclerosis but in the interview he was very keen on the development of driving skills, especially the skill of driving a stick shift. Further, Phil relates the many different situations where he was exposed to driving experiences that would have prepared him for this challenge ... including driving an IndyCar as well as the international driving situations presented to him during his many years at being the host of "Amazing Race." Phil Keoghan's Amazing Toyota Pro/Celebrity Race challenge begins in earnest with the Toyota Grand Prix Of Long Beach Friday, April 11, 2014 11:30 a.m. Pro/Celebrity Race practice and 3:00 p.m. Pro/Celebrity qualifying followed on Saturday, April 12, 2014 12:00 p.m. Pro/Celebrity Race for charity (10 laps). We are here with Andretti Autosport's driver Carlos Munoz in a pre-race interview for the 40th edition of the Toyota Grand Prix Of Long Beach - Welcome Aboard! 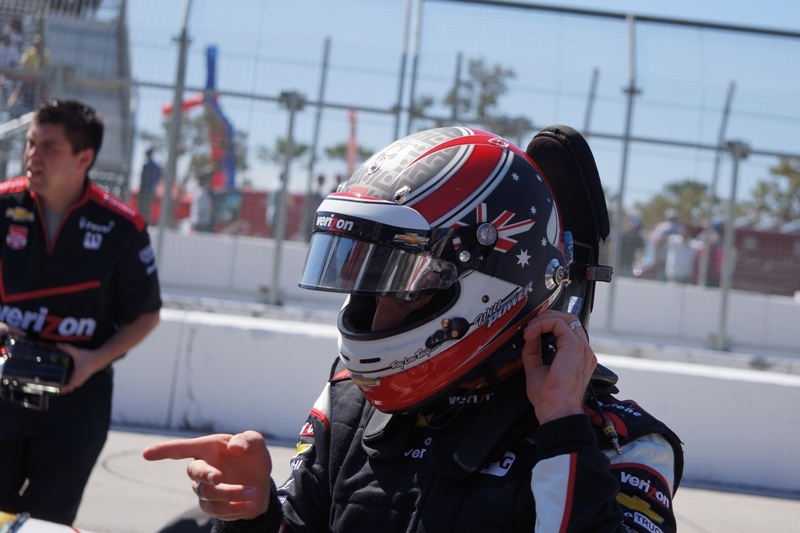 (1) In a performance review, one notices that over the last two seasons in IndyLights, California has been pretty good to you with two wins at Auto Club Speedway with a 1st and a 5th at Long Beach - You've qualified P1 and won at Long Beach last year with the IndyLights series - Is there something about the track that benefits your driving style and sensibilities? 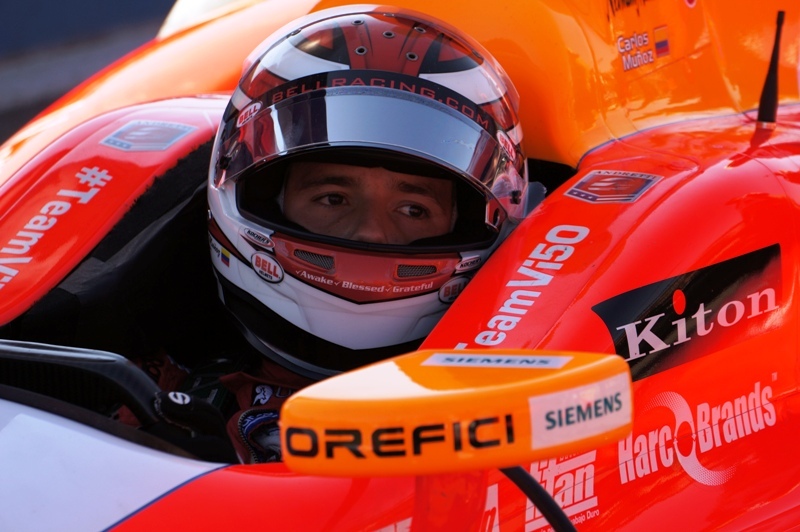 (2) Andretti Autosport has moved from Chevy-power to Honda-power - Given your brief and successful exposure to IndyCar last year, do you see any difference in the handling of the DW12 between the two power plants? 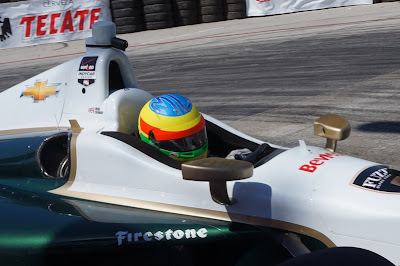 (3) A number of Colombians are now looking at the United States and IndyCar as a vehicle to top pro open wheel racing - how much does racing in Colombia prepare you for racing here in the United States? 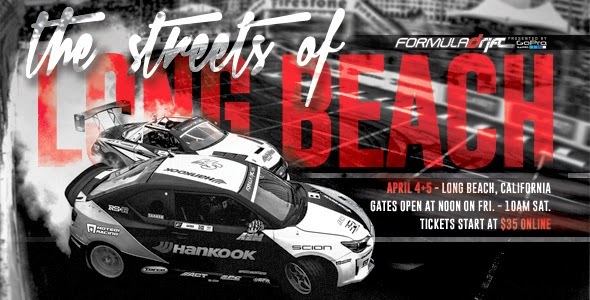 Formula Drift 2014 Pro Championship begins its seven round national schedule by tearing up the streets of Long Beach for the 11th time. The course is set to use a portion of the back straightaway leading into the turns 9, 10, and Turn 11 hairpin of the Toyota Grand Prix of Long Beach track. As the first official series in North America, Formula DRIFT has taken competitive motorsports to the extreme, attracting fans and car enthusiasts from all walks of life and establishes itself as the worldwide leader for the Sport. This high-skilled, high-powered motor sport where drivers intentionally maneuver their cars into well executed, controlled sideways slides at high speeds through a marked course, has professional drivers & teams competing in seven championship competitions in 2014. Formula Drift is one of only a few sports to see a growth in attendance during the economic downturn in 2009 and 2010. The action has already begun. A media demonstration day Tuesday saw drivers Dean Kearney and Ryan Tuerck both hit the wall hard in a pair of unrelated crashes. "It's an unforgiving track. It's really slippy and once you get into the marbles, there's no recovery from that," says driver Fredric Aasbo, who kept his Hankook Tire Scion Racing tC (pictured, ABOVE) out of trouble Tuesday. "It's a balancing act. You want to be able to find the limit, but that track bites your a** – if it goes wrong it's like a game of pinball, bouncing off the walls." The motorsport calls for full commitment from competitors. Judges award points to drivers for smoky, sideways drifts based on criteria of speed, angle and style. While it is relegated to alternative status by racing purists, there is no arguing the high degree of car control required to deliberately hurl a sideways car into a corner and keep it pinned at 90mph, inches from an opponent's door. "It is a race. 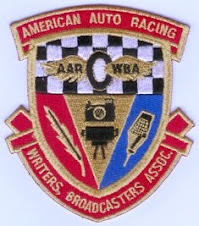 It's not timed, per se, but leaving the other guy in the dust – or in the smoke – is still what matters most," says Aasbo. And while both Kearney and Tuerck are expected to return to competition this weekend, it can be tough to bounce back from a tangle with the Long Beach course – especially given the power the cars are producing this year. This season is seeing a continuation of the incremental trend toward ever-increasing horsepower, facilitated by the series' open rulebook, which encourages development and innovation. Perhaps more controversial [in this year's competition] is Formula Drift's decision to eliminate the third-place knockout round. Typically one of the most exciting battles of the weekend, drivers held nothing back in their attempts to earn the final spot on the podium. Although the action was exciting, Sage said organizers made the decision for the fans. Too often, the third-place round often ran long as judges determined the competition too close to call and repeatedly called the drivers back to try again. Television schedules suffered and fans wore out. Third place will now go to the highest-qualifying driver who achieves the bracket. "Our closest cousin, NHRA, doesn't run (a third-place round) either," said Sage. 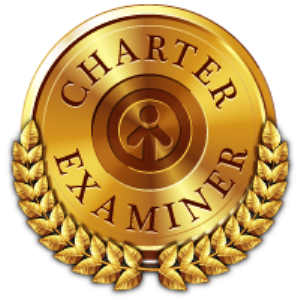 "We thought we would do away with it for one year and evaluate." In a championship round, drivers qualify for one of 32 spots on the grid, then work their way through a series of head-to-head knock-out elimination tandem runs to the winner-take-all first-place battle. Qualifying for this weekend's main event takes place on Friday (gates open at 11 a.m.), with gates opening for the main event on Saturday at 10 a.m. The top rounds of competition get started with the official opening ceremonies Saturday at 3 p.m. The following weekend, during the Toyota Grand Prix of Long Beach, the drifting action returns to the streets of Long Beach with the Motegi Racing Super Drift Challenge (pictured, ABOVE). 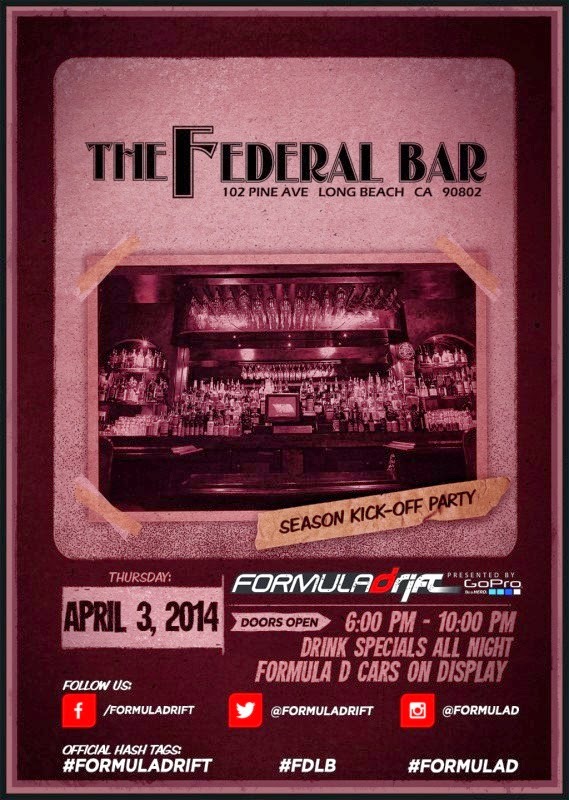 The demonstration event is open to all weekend ticket-holders and takes place under the lights Friday and Saturday nights (April 11 and 12), with the action starting at 7 p.m.
Actually, for those who do not mind a little pre-season, pre-race party, on which one might meet some drivers and team owners, head over to The Federal Bar at 102 Pine Ave. just up from Ocean Ave. in downtown Long Beach. The action is set to begin at 6:00pm PT with drink specials offered all night and as an added treat, Formula DRIFT cars will be on display.